CINCINNATI – March 28, 2011 – All About Kids Childcare and Learning Centers today announced that it received the People’s Choice Award in the Cincinnati Business Courier 2012 Green Business Awards Competition. 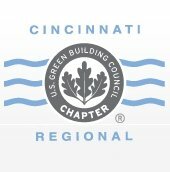 The annual program, which is produced in partnership with the U.S. Green Building Council Cincinnati Regional Chapter, recognizes people and organizations that are demonstrating outstanding leadership in sustainable practices. As part of the annual program, Courier readers are invited to vote on their favorite Green Business Awards finalist. The people, organization or project that receives the most votes from the survey is named the People’s Choice Award winner. All About Kids is the only LEED Certified Green childcare center in the Tri-State area and one of the only ones in the country. All About Kids centers incorporate vegetable and flower gardens into their curriculum, along with using roof rainwater for watering the gardens. They operate using recycling as part of the teaching process and also emphasize energy conservation. Centers include bicycle racks and parking spaces for low-emission vehicles. Another sustainable site attribute are the materials used in construction of the centers, which include nontoxic adhesives and sealants, paints, carpet, and agrifiber products that do not contain formaldehyde. Where possible, the centers use materials that are durable, long lasting, recyclable or made from recycled material and materials that have been obtained from local resources. The materials are also certified, labeled, or otherwise recognized as compliant with sustainability standards. Founded by Cincinnati, Ohio natives, Jim and Tracy Kaiser in 2005, All About Kids Childcare and Learning Centers and its franchisees currently operate seven learning centers in Ohio and Kentucky. The company focuses on providing early child care development programs for kids from infants to 12 years old through safe, engaging and green learning environments. All About Kids will soon be the only LEED Certified Green childcare center in the Tri-State area and one of the only ones in the country. In 2008, the company introduced a franchise model that allows entrepreneurs to own their own All About Kids Learning Center. The company is currently https://www.allaboutkidslc.com/franchise/selling franchises in Ohio, Kentucky and Indiana. For more information about All About Kids, visit www.allaboutkidslc.com.